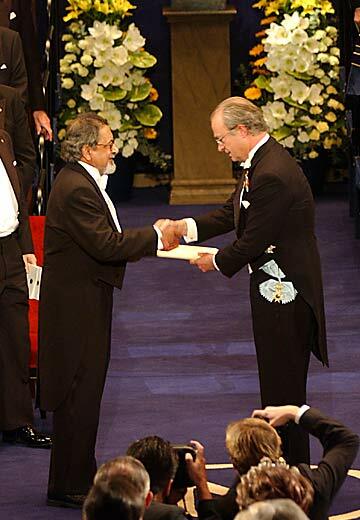 VS Naipaul recieves the Noble Peace Prize for Literature, 2001. Being a writer is a terrible profession, especially for one from the West Indies.Being Indian only complicates the issue more. The news of Sir Vidia Naipaul being awarded the 2001 Noble Prize for Literature is probably one of the most unsurprising events in the history of 20C literature—for obvious reasons. While the prize is being awarded for much of what the man has written, I think it is his ability to transform himself through an art form not readily accepted in the West Indies, scaling the poverty and confines of a Hindu Trinidad community, to becoming the world’s foremost writer of English prose and travel observations, that is his grandest accomplishment. first country that he visited, when he began his travel writings. 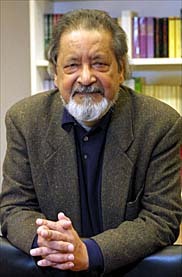 said that the West Indies has never been ready to truly accept Naipaul as West Indian. This may very well have stemmed from his brutally truthful critique of the West Indies documented in the Middle Passage, in which he noted; “History is built around achievement and creation; and nothing was created in the West Indies.” And that middle-class Blacks mimicked European attitudes, regarding themselves more “European” than African. Naturally, we fussed for 40 years and…truthfully, we have produced but how much has been produced is another matter. More than his unparalleled prose skill that links him to literary giants like E.M. Forester, it is his sense of righteousness, his uncompromising refusal to serve causes because causes “corrupt,” that sets him in a category from which most West Indians cannot claim to share. Underlying his major works is a puritanical streak of the truth to be found even in the description of filth and ruin that makes him, on a small note, similar to Gandhi, for whom he allegedly once wept out of respect. A soft spot emanating from a hard man reputed for chasing reporters from interviews. This sense of truth, which we West Indians claim to have but which has eluded our daily tendencies is, in Naipaul, never compromised for art or public opinion. This does not mean that his books are not questionable, but the writer in Naipaul never gets the better of Naipaul the man. 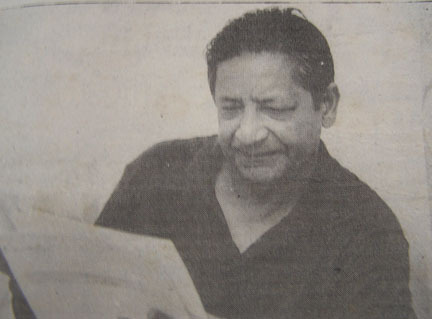 Naipaul, one may say, could never have been an executive member of the PPP. Today, the West Indies is struggling against itself from becoming a series of territories straddled by dereliction and lack of creativity. Poverty, the HIV epidemic, corruption, crime, weak leadership, and racial and tribal politics have left the region a mere sandbank on which its own integrity is in the process of being shipwrecked. In world affairs, we’re not even trivial. Whatever we produced has been purloined or misused; it has failed to save us from ourselves. And in this midst sits the East Indian identity question that Naipaul confronted decades ago, and which contributed to his making England his home. Very little has changed for this East Indian Identity; the East Indian, more than anyone else, is being asked to identify his place of belonging, and required to remind others of his importance. If East Indian accomplishment can be summarized, it may be divided between Jagan, Kanhai, and Naipaul. Together, they represent the best in East/West Indian politics, cricket, and literature. Kanhai has ventured into territories whose horizons were made invisible to Jagan and Naipaul. What Kanhai did with a piece of willow, has not been done by Naipaul with a pen, not because he is incapable but because 20C English literature offered little new room for similar exploration and explosion of the human spirit. Jagan, always the relentless, credible leader, survived his politics but at a price too costly for his supporters. Sir Vidia, over time, remained steadfast in his integrity as our severest critic of the social consciousness of the postcolonial figure. For this reason I am happy to hear that Naipaul’s home in Trinidad will become a museum, et cetera, more than I was over the news of the Noble award. The prize was destined, but a museum to honor an East Indian artist in the West Indies, is a welcoming stepping stone in the right direction of recognition. Jagan may have not received the number of accolades garnished upon him, had he not become president again and Kanhai, despite his artistic dexterity, is still an abscurity in his Guyana. Already, there are some who haven’t heard about the legend. In Trinidad, Chutney music’s most enduring figure, Sundar Popo, died an impoverished man. His legacy is still to be inscribed in a substantial manner for posterity.